Thermal printers are used in both office and warehouse/manufacturing environments. 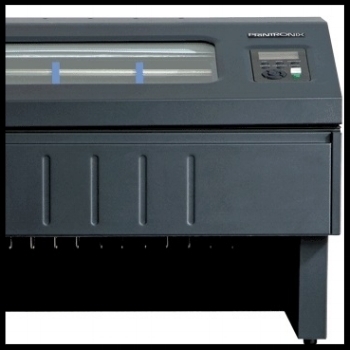 Laser printers are used in high volume and high print quality situations, and offices where noise is a consideration. Impact printers are used in situations where total cost per page and high volume print jobs are important factors. Click here to request a quote or Click here for more Dascom models. Since 1980 QuinnData has provided an extensive range of computer hardware and maintenance solutions for the IT marketplace. In 2013 QuinnData joined Midrange Repair & Parts of Alsip, IL. This venture has strengthened both QuinnData and MRP’s offerings and services. Quinn Data specializes in buying, selling and trading of new and refurbished computer systems and peripherals including HP, IBM, Infoprint, Lexmark, Printronix, Kyocera, Okidata, Zebra, Datamax , Intermec, IO and CLI, just to name a few. All products are supplied with customized maintenance options tailored to meet individual customer requirements. In addition, Quinn Data will purchase or resell your used/surplus computer hardware through our extensive broker marketplace. We are committed to becoming your total computer hardware peripheral source by providing dependable equipment at very competitive prices, in addition to paying top dollar for your excess computer hardware. Thanks in advance for any opportunities that might arise, and thanks again for visiting Quinn Data.